SanDisk Clip Sport is the first SanDisk mp3 player to not carry the Sansa name, and it is similar to previous Clip models, with a larger screen and longer battery life, but with no voice recorder. Later firmware uses the menu button for locking. A microSDHC card slot is provided to increase the storage capacity, but it does not support slotRadio. 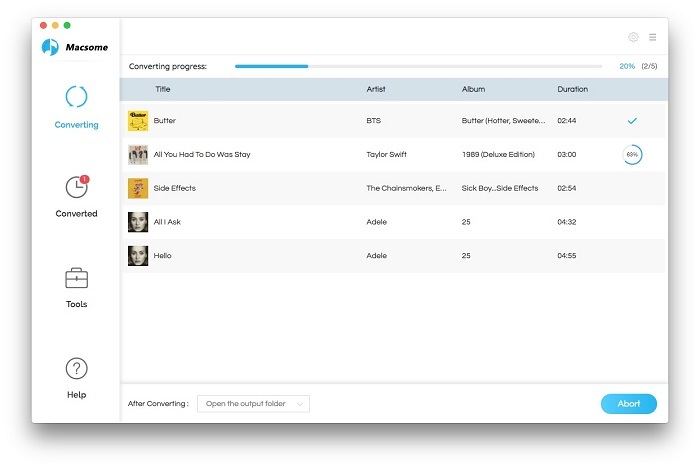 There are various music sources you can transfer to. How about trying to transfer Apple Music to SanDisk Clip Sport? It sounds impossible. Please don't worry. This following guide will show you a proven solution to help users to play Apple Music on SanDisk Clip Sport. Apple Music can't be transferred directly, why? Apple Music is online streaming music service, that is to say, all the music from Apple Music are streaming. During you subscribe Apple Music service, you can enjoy them, download them for offline playing and so on. It sounds great. When you don't want to keep on subscription, all the music files can’t work anymore, even you have downloaded for offline. Don't mention that you want to transfer these Apple Music files to other non-Apple devices. If you want to solve the problem, the general Audio Converter can’t get the goal, because of Apple Music's DRM. 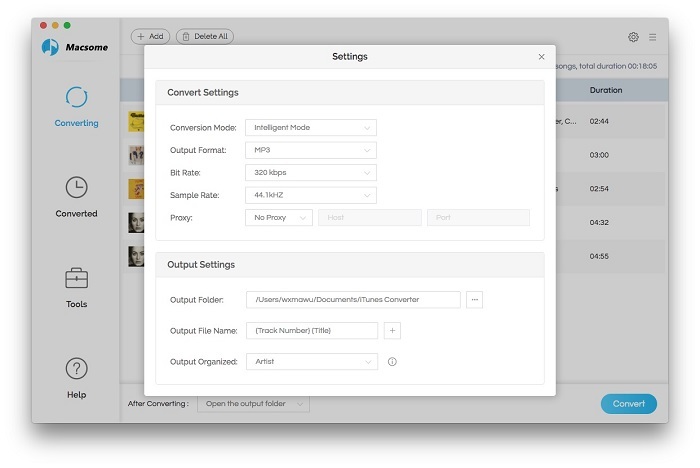 Here we can use Macsome iTunes Converter, which is powerful and professional for dealing with Apple Music files and supports converting Apple Music to MP3, AAC, FLAC and WAV format with fast conversion speed and ID tag kept. The output quality is almost 100% kept. Before conversion you need to free download Macsome iTunes Music Converter on you computer. It supports both Mac version and Windows version, just choose one according to your system. Step 2. Run the program, click "+" to import the downloaded Apple Music files. Now the output formats include MP3, AAC, FLAC and WAV, you can just to choose a suitable one and set the output quality according to your need. Step 4. Click the "CONVERT" button to start. Step 5. Transfer converted music files to SanDisk Clip Sport. After the conversion, you can connect SanDisk Clip Sport to your computer and then drag and drop to transfer them to SanDisk Clip Sport. 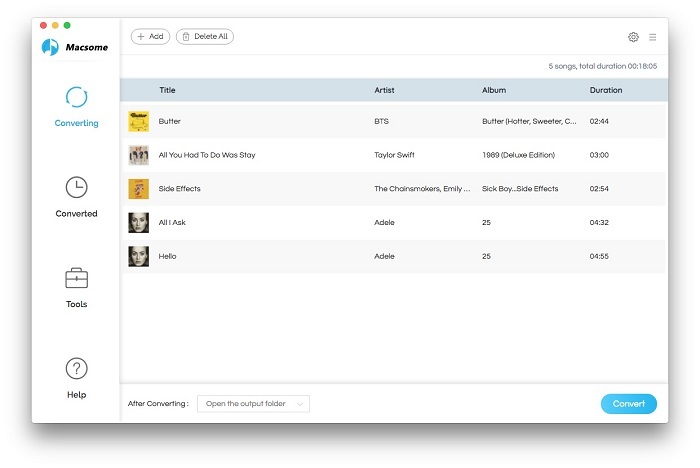 Now you can enjoy Apple Music files as you like.